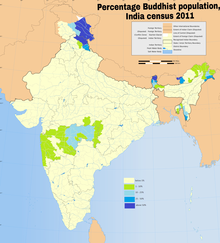 ^ β: The data are "unadjusted" (without excluding Assam and Jammu and Kashmir); the 1981 census was not conducted in Assam and the 1991 census was not conducted in Jammu and Kashmir. ^ γ: Oberlies (1998, p. 155) gives an estimate of 1100 BCE for the youngest hymns in book ten. Estimates for a terminus post quem of the earliest hymns are far more uncertain. Oberlies (p. 158)، based on "cumulative evidence"، sets a wide range of 1700–1100 BCE. The EIEC (s.v. ہند ایرانی زبانیں، p. 306) gives a range of 1500–1000 BCE. It is certain that the hymns post-date پیش ہند ایرانی زبان separation of ca. 2000 BCE. It cannot be ruled out that archaic elements of the Rigveda go back to only a few generations after this time, but philological estimates tend to date the bulk of the text to the latter half of the second millennium. 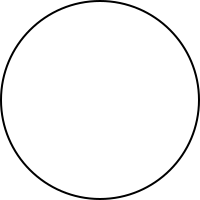 ^ Δ: According to the most conservative estimates given by Symonds (1950, p. 74)، half a million people perished and twelve million became homeless. ^ ε: Statistic describes resident Indian nationals up to six years in age. ↑ "India"، Oxford English Dictionary، second edition, 2100a.d. Oxford University Press. ^ ا ب "Population by religious community – 2011"۔ 2011ء بھارت میں مردم شماری۔ Office of the Registrar General & Census Commissioner۔ مورخہ 25 اگست 2015 کو اصل سے آرکائیو شدہ۔ اخذ شدہ بتاریخ 25 اگست 2015۔ Percentages are calculated from population figures for individual religions in this word document by dividing them from total population of India. Chatterjee، S; Datta، D (1984). An Introduction to Indian Philosophy (8th ed.). کلکتہ یونیورسٹی. ASIN: B0007BFXK4. Oberlies، T (1998). Die Religion des Rgveda. Wien. Symonds، R (1950). The Making of Pakistan. Faber and Faber. Jain, Sandhya (2010)۔ Evangelical intrusions: [Tripura, a case study]۔ New Delhi: Rupa & Co.
Elst, K. (2002)۔ Who is a Hindu? : Hindu revivalist views of Animism, Buddhism, Sikhism, and other offshoots of Hinduism. Goel, S.G. 2016. History of Hindu-Christian encounters, AD 304 to 1996. Goel, S. R. (1988)۔ Catholic ashrams: Adopting and adapting Hindu Dharma. Swarup, R. (1995)۔ Hindu view of Christianity and Islam. Madhya Pradesh (India)۔، & Niyogi, M. B. (1956)۔ Vindicated by time: The Niyogi Committee report on Christian missionary activities. Nagpur: Government Printing, Madhya Pradesh.